Quite simply, we're here to help the people of Lancashire with the problems they face. Our advice is free, confidential, impartial and independent. We operate from four locations across Lancashire: Chorley, Leyland, Fleetwood Skelmersdale, and Blackburn with Darwen.. We provide advice in person at our offices, via our telephone helpline or by email. Look through the advice sections detailed below or visit our main AdviceGuide site. Telephone our Gateway Service on: 0344 245 1294 (Monday to Friday 9am to 5pm) (local rate number). Call in to your local bureau. Select your most convenient location from our Area Map for details of our opening times and office addresses. If our offices don't cover your location, enter your postcode in the "Find your local Citizens Advice" section on our national site. Citizens Advice Lancashire offers free, confidential, impartial and independent advice and information on a wide range of subjects. Our dedicated Gateway Service is available Monday to Friday 9.00am to 5.00pm. Calls to this service cost the same as calling 01 and 02 numbers. They will be included as part of a mobile allowance or a landline call package. You will be charged for calls not included in your landline package or if you go over your mobile allowance. Calls will also be charged if you do not have a call package with your provider. Landline calls typically cost up to 9p per minute and calls from mobiles between 8p and 40p per minute. Please note that tariffs vary and are subject to change, so for specific call charge details please check with your own provider. Advisers are happy to offer call-backs to any client that requests one. 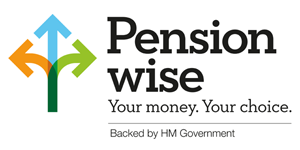 Pension Wise is a free government service that helps you understand what you can do with your pension pot money. It offers guidance about your options for taking your pension pot(s), and can help you understand the tax implications. It also offers free guidance appointments over the telephone or face-to-face where you can talk through these options, ensuring you have the information you need to make the right decision.